***spot1x.shtml*** The best shoes for underpronate runners should provide cushioning and protection. That’s the main thing to keep in mind when buying shoes for your high-arched running feet. Having high arched feet can be frustrating for runners. If overpronators tend to lose their balance and control because their feet roll inward too much, underpronators face higher risks of hurting or straining their feet during runs. High arched feet rise higher in the midfoot and arch area; as such, the foot also hits the ground with heavier impact and from a higher level. This means that the underpronating feet bear a heavier burden than neutral or overpronating feet. What you need, therefore, is the best shoes for underpronate runners, which should offer enough feet protection and a plush shock absorption system for feet protection. To help you find such shoes, here are some of the best you will likely encounter. Brooks took its very popular and successful cushioning shoe, the Radius, and made it even better with the release of the 7th edition. Even better than the ultra popular Radius 6, the 7th edition is definitely highly promising. The most significant change is the addition of an all-new MoGo cushioning material in the midsole area plus HydroFlow cushioning units in the heel and the forefoot. The shoe came out with better padding than the previous shoes but it is also more lightweight. 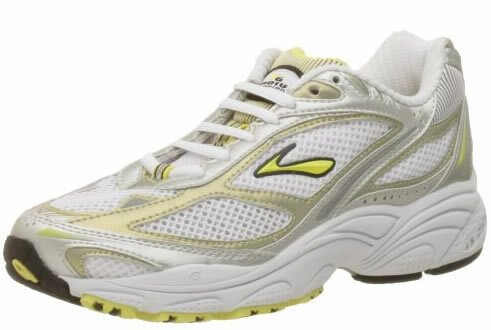 The Brooks Radius currently competes quite strongly for the title of the Best Shoe for Underpronate. But it also owns its own market because it is most recommended for runners with bigger builds. It is also great for those looking for a shoe that looks especially attractive since the shoe sports a unique and very impressive look. Adidas has come out with the 18th shoe in its Adidas Response Cushion series. The product is now available in a men’s and in a women’s edition, featuring gender-specific features. The main feature is the FORMOTION technology which smoothens out the ride by helping the feet adjust easily to the ground. And the shoe offers cushioning and protection with its adiPRENE heel cushioning that is designed to help reduce impact upon heel strike, plus an adiWEAR outsole, which offers durable cushioning and excellent ground grip. The forefoot is also lined with adiPRENE cushioning to help improve the efficiency of the foot, and the midfoot is supported so that the arch will not suffer thanks to the special TORSION system. The insole is then designed to mold to the runner’s foot to make sure the feet is comfortable and protected. 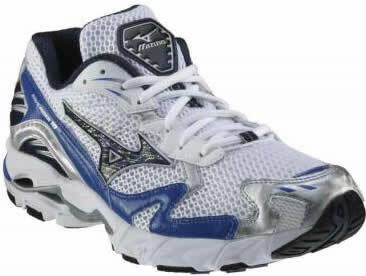 Mizuno also offers a best shoe for underpronate runners, the Mizuno Wave Rider. This cushioning shoe is ideal for road runners. It also comes with the SmoothRide Engineered Composite Parallel Wave that helps to disperse impact equally throughout your foot. Special protection is also provided for the areas of the feet that bear much of the brunt each time you hit the ground. The heel system also helps to make this shoe the best shoe for underpronate feet. Using VS-1 heel shock absorption technology, the shoe also makes sure the heel is protected since it is the heel that suffers the most during heel strike. Aside from absorbing shock, it also guides the foot through the natural transition phrase. Best of all, your foot will be as comfortable as possible with its special AirMesh upper. With your feet in such superior comfort and cushioning, you will definitely perform at your best. Outside, the shoe also sports an X-10 outsole, a highly durable outsole made of carbon rubber so you can rely on the Mizuno Wave Rider for a long time. If you are an underpronator, you need to make an investment in underpronate or cushioning shoes. The best shoes for underpronate runners are not hard to find. Don’t settle for any other shoe because it might compromise your comfort, safety, and performance. The shoes mentioned above are most capable of correcting underpronation, and doing so can help you send your performance to its best level.